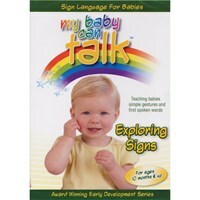 My Baby Can Talk - First Signs is designed to be baby's first introduction to preverbal communication and teaches American Sign Language (ASL) in a format that delights the senses while tapping into a baby's innate language capabilities. 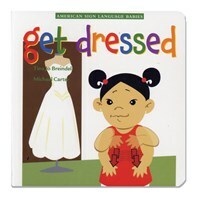 This first DVD, in the award winning My Baby Can Talk series, teaches 20 of the first signs and words that are most loved by babies set to classical music by Beethoven, Mozart, Strauss, Tchaikovsky, and Vivaldi. DVD running time: 45 minutes.